Last week, Swedish investor EcoDevelopment registered a claim at the International Centre for Settlement of Investment Disputes against the Tanzanian government for revoking a land title amid concerns over the impact on local communities and a wildlife sanctuary. The USD 500 million project concerned the production of sugar cane for use as renewable fuel on 20,000 hectares of land. Government assessment reports that the investor is challenging the government’s acts and omissions, including through its failure to provide land free of encumbrances. Reportedly, local activists opposed the project, defending the rights of some 1,300 local farmers who still used the land. This is the first known investor-state dispute against a government linked to the so-called “land grab” phenomenon, which arose out of the 2008 food crisis, and led to a wave of investor interest in acquiring large tracts of farmland. Another case linked to farmland investments was reported in January 2016, when Indian investor Karuturi told the Bloomberg news agency that it would challenge a decision by the Ethiopian government to cancel a farmland investment, arguing that it amounted to an expropriation under the Ethiopia–India bilateral investment treaty. We are not aware of any formal international arbitration proceedings filed against the Ethiopian government by the company. We predicted these types of disputes some years ago (see IISD’s report and PPT). It is virtually impossible for governments to guarantee that large tracts of land can be made available unencumbered. To give an idea of what is meant by large-scale investment, the average farm in Europe is 16 hectares and in the United States is 180 hectares, compared to the 20,000 hectares in question here. According to the International Institute for Environmental Development, it is highly unlikely that there is fertile land lying around that is not claimed by somebody. When land is acquired for investment, those affected must have a say. The principle of Free, Prior, and Informed Consent (FPIC) is an important tool for local communities. It requires proper information and consultation for the communities as well as the possibility to reject a project. The principle is enshrined in international law for Indigenous Peoples only, but its application is also expanding to local communities more broadly, and is reflected in some of the International Finance Corporation’s operational frameworks. In the present case, ActionAid, who campaigned on behalf of the communities affected by the project, argued that the land had been grabbed without their consent, and that the investor failed to obtain the consent of the communities in the area affected. They also argued that the farmers had not been informed about the details of the outgrower scheme and the potential financial risks of taking out loans to start sugar production. Though we do not know the details of this specific dispute and related circumstances, we think it raises important issues for governments and investors alike. First, experience has shown that large-scale agricultural investments often fail. Research from the World Bank and UNCTAD found that the most common source of conflict was between an investor who was granted formal rights to land by the government and the local people who had been living and working on land for years, but with rights to land that were typically not surveyed/demarcated and/or formally registered. The rights of pastoralists were also seldom recognized and therefore a source of conflict. Many investors were spending significant time and resources dealing with land disputes, which could and should have been identified earlier through a proper preparatory process. 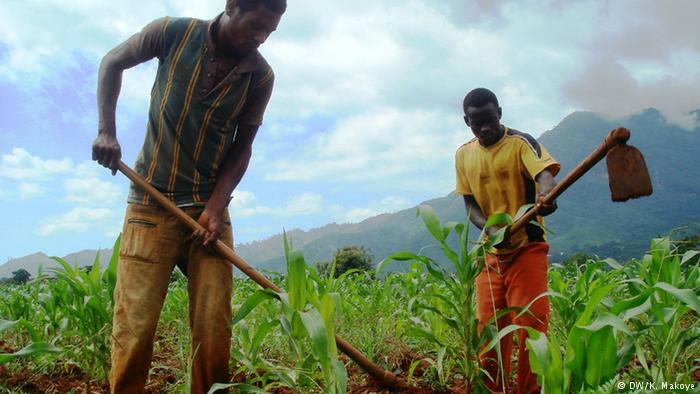 Alternatives to large-scale land investments, such as inclusive business models involving smallholder farmers through contract farming, management schemes, outgrower schemes or joint ventures, have proven to be more commercially viable and have more positive social and economic benefits for the local community. Second, whatever the business model, when land is involved, it will affect the livelihoods of people. The rights of local landowners and users, whether formal or informal, must be clearly identified and respected accordingly. The best way to do this is through FPIC. This should include informing the affected communities in a way that is accessible and understandable, consulting with the community and fostering dialogue, including the community in planning and providing them with the option of rejecting the project. Third, before this process is complete, neither the investor nor the government can have any expectation that they will be able to move forward with the project. The consultation process can take time, often years, with the possibility that no agreement will be reached with communities. Finally, host governments must be aware that if they have an international treaty with the home state of the investor, there is always a chance that an investor will use it to claim damages in case a government cedes to the demands of local communities who oppose an investment. The investor will be able to initiate international arbitration independent of whether or not the government acted in accordance with international and national law relating to community rights. In our view, investment treaties should not be used against governments that need to change or exit from a proposed land investment, especially when no agreement can be reached with affected local communities. Yet, this is what we see repeatedly in the extractives sector and are now starting to see in the agricultural sector. Investors are seeking access to minerals and land based on the speculation that local communities will fall in line. Even where the government makes specific commitments in relation to land that is already in use, the investor should know that as long as consent is not given, the risk will subsist. Nevertheless, some investors initiate international proceedings against governments. One treaty provision typically invoked in such cases is the provision requiring that the host state treat foreign investors “fairly and equitably.” Under this provision, arbitral tribunals have held states liable for breaching an investor’s “legitimate expectations.” Surely the Swedish investor in the present case will argue that it had a legitimate expectation to unencumbered land, and that the government must now pay for the damages for sunk costs and lost future profits. This type of argument stands in direct contradiction to the principle that requires that solutions be found in agreement with the local communities. Globally, there are now more than 3,300 bilateral investment treaties and investment chapters in free trade agreements. IISD is aware of at least 26 investment disputes related to agriculture. Given the high rate of failure of many of the recent farmland investments, there is a risk that further claims will be initiated.